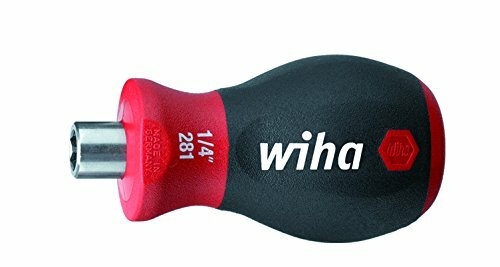 Wiha 26547 precision nut driver, inch, 3/16 x 60mm. Exact fit narrow profile precision machined nut drivers. Micron vapor chromed for maximum corrosion protection. Free turning finger control cap. 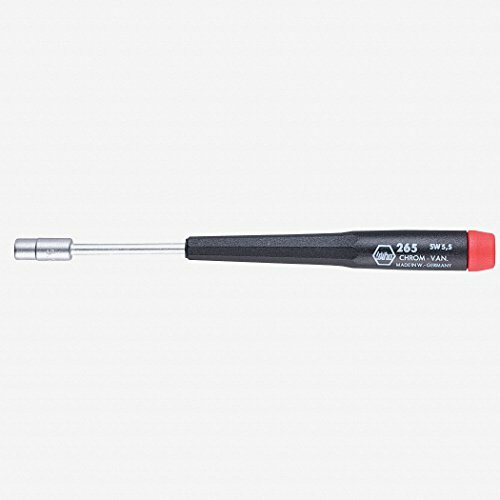 The stubby handle magnetic bit holder is great for fastening screws in tight spaces with limited clearance. It is extendable by using any standard 1/4" hex insert bit. Wiha's stubby bit holder is 2.5 inches long, 1.5 inches in diameter, and 3 inches long when a 25mm insert bit is used. The Wiha Soft Finish screwdriver grip concept allows you to achieve more torque than a standard one size fits all screwdriver handle in hard to reach, limited access areas. The ergonomic shape of this stubby bit holder will help fight fatigue when using the tool repeatedly.